DENVER, Auraria Campus, July 24, 2018 – A whirring drone hovers above the heads of 65 kids, ages of eight to 14, convening at the 14th Denver Post’s Annual Youth Journalism Day at Metropolitan State University Denver. 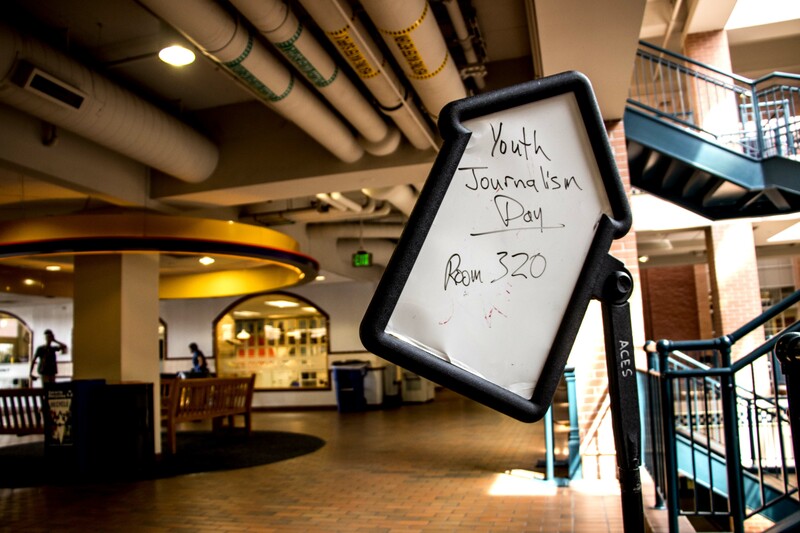 The summer camp offers Rocky Mountain Region students the opportunity to see what it’s like in the trenches of a professional journalists with a day of immersion: lecture, gathering information, take photos, writing their own stories, edit and publishing online. The Youth Journalism camp creates a real-life environment for budding journalists. Students are treated the same as working journalists facing deadlines, and an expectation that they will rise to the occasion to work hard on a story. 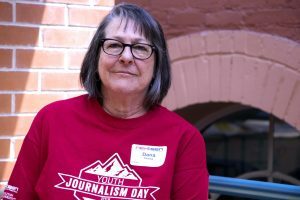 The experience is part of a bigger program run by Dana Plweka, education services manager for the Denver Post, who started YJD in 2004. Plweka also works with youth journalists year round with the Colorado Kids Youth Reporting Program that publishes ColoradoKids on Tuesdays in the Denver Post, the Boulder Daily Camera and the Longmont Times-Call. “We want to give them a place where they have a public voice,” Plewka says. The youth platform fills a void and prepares the kids to participate in their high school yearbook and college newspapers. 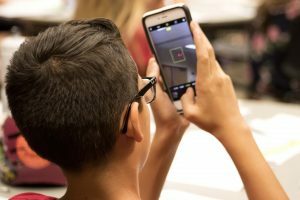 Students discover the program through word of mouth, sibling and peer participation, and by advertisements in the Denver Post. Elementary and middle school students who are interested in news reporting are invited to apply. Print newspapers like the Denver Post may be changing their distribution strategy with the onslaught of online technology. However, they are still in the business of capturing the human experience with words and images. A big change in journalism is the use of drones, which can easily take videos from the air. Drones can fly over a concert, a football game, or a mountain peak and provide a perspective that is new to ground-dwelling humans. MSU video-editing instructor, Dave Kinney, surprised the YJD students by flying a drone around the room. Kids raised their hands to ask questions and take photos of this new technology that is changing the face of the world. Drones don’t just change the way stories are reported, they help farmers check their stocks, help viewing fires and natural disasters preserving resources such as people and money. “There are many future careers using drones, so you’re not limited to journalism,” Kinney told the kids during his enlivening presentation. They provide access to things that have been either impossible to get, or dangerous for people to do. Opportunities with railroads, environmental planning and under the oceans and into unseen territories.